Just because it’s winter in Texas, that doesn’t mean we don’t get periods when the weather can get downright warm. 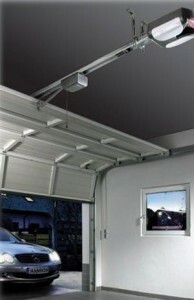 In between cold snaps, take advantage of the warmer temperatures to perform a quick inspection of your garage door. At Action Garage Door Repair, we want to help you make sure that your door will continue to work as it should. It’s very important that you only inspect your garage door. If you see any issues, contact a professional as soon as you can. Because garage doors are so heavy, you could risk seriously injuring yourself if you attempt any sort of repair. With that being stated, here is how to perform your inspection. While inside the garage, close the door and turn on the flashlight. Look at the panels for any signs of rust, dents, cracking or other kinds of damage. If you see any, contact a professional so that you can avoid any sort of potentially dangerous door failure. Look at the springs, brackets, fasteners, hinges and other components. If you see a broken spring, that issue needs to be taken care of as quickly as possible. Open the door and make sure it is operating smoothly and there are no odd noises. If your model has photoelectric sensors, make sure they are at least six inches above the floor. Open the door again and place the 2×4 where the door sits when closed. Close the door. If it does not reverse direction once it touches the 2×4, it needs to be serviced. Remember, don’t ever attempt any sort of garage door repair on your own. Call the professionals with Action Garage Door Repair at 972-215-7906 or contact us online to schedule an appointment.